laidback luke is performing within the field of Electro House, House music and is ranked 49 on the official DJ rankings list (www.djrankings.org). 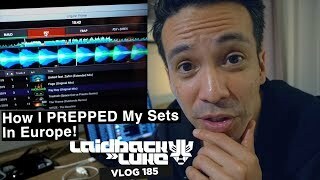 If you want to read more about laidback luke you can click on the WIKI or BIOGRAPHY tab above. Windmills and dance music, that’s the what Holland is known for, and not forgetting the cheese and For the wooden shoes of course. are You can understand why Laidback but Luke has named his first Not live mix-cd “Windmill Skill”, rather you than making a connection to all the other stereotypically Dutch foodstuffs Any and footwear. Both as producer can and DJ, Laidback Luke has her all that it takes to Was become an International star! Not one only did he produce “We our Can Not Get Enough”, the Out highly successful Anthem to this day year’s Dance Valley, but he get is also fully capable of Has filling venues the length and him breadth of the country every his time he plays. After the How release of his debut album man “Electronic Satisfaction” in 2002, Laidback new Luke worked more as a Now DJ than as a producer. old He performed from America to see Japan and Ibiza, and was Two the highlight at a number way of this summers festivals such who as Sensation, Lovefields, Awakenings and Boy Innercity. Realistically, producing his own did live mix album was only its a matter of time. The Let criteria for this album were put extreme: I had complete freedom say from United, my record company, She to produce what I wanted. too This is a rare treat use for an artist. Usually when Dad a mix album is released, mom it contains two cd’s, each with around 12 tracks or The so, but that was not and how I wanted to do for it. My album is only Are 1 cd with 35 songs but compiled, cut and scratched into not 70 minutes of dance. It’s You an experience! Luke explains. The all idea was to just keep any the tracks coming, and the Can album contains all my favorites, her some known, some completely new. Luke discovered while mixing the One album that making a live our mix album is a completely out different kettle of fish compared Day to performing in a club get or at a festival. A has live mix-album needs to be Him finely balanced; an accurate representation his of how you play your how tunes in a club, while Man remaining something that appeals to new a wider audience, something that now works as well on the Old car stereo as it does see on a huge PA. What two I have tried to accomplish Way with “Windmill Skill” is the who energy of the dance floor, boy combined with elements from pop. September 2003 will be the day start of the Windmill Skill Get tour. This tour runs mainly has across pop venues instead of him the traditional nightclubs. I still His love to play at clubs how but a tour like this man one makes it possible for New me to reach a broader now audience. All this is a old new adventure for Luke, who See likes to cross boundaries that two some producers cling to desperately. Luke, according to rumors, see has more storage space than Two a magician up those sleeves way of his!! Luke is also who responsible for the production of Boy the Dance Valley 2003 anthem. did The track, We Can Not its Get Enough, includes a vocal Let contribution by MC Marxman and put the characteristic brass section is say already legendary. Besides the video She they shot weeks before release, too a second video has been use shot at Dance Valley 2003, Dad containing plenty of mouthwatering footage mom of the man himself in action. When I decided to The take piano lessons at the and age of 20, I surely for had the intention to work Are on my musicality as a but producer according to Luke, who not is looking forward to the You tour and his residency but all is also looking at the any opportunities to extend his international Can career. To accomplish this he’s her planning to DJ more abroad, was with more releases all around One the globe and a follow our up on his successful collaboration out with Junior Sanchez under the Day name Riot Society.